This week Behind The Decks is in sunny Buenos Aires, with native born DJ & Producer Mariano Mellino. Influenced by and later on sharing the DJ booth with the likes of Guy Gerber, Lee Burridge, Hernan Cattaneo, James Zabiela amongst other, Mariano Mellino is known for his balanced and full of harmonies DJ sets. We had a thorough talk with Mariano about how his DJ career began, what is production process like, as well as some memorable and funny moments in his DJ career. Before we open the music theme, can you tell us something about yourself you think will surprise everyone? I think that everyone is surprised because I try to be as simple and humble as possible. Honestly, I don’t like spending energy, for example being the guy with a big ego or thinking just to shine, I prefer to concentrate more, to be open and to work hard every day, and to share my passion naturally with everyone. Since I was very young I started listening to electronic music. My brother was also a DJ and I think I was around 16 years old when I started to listen more and discover my passion. The magic of the DJs taking control of the dance floor and delivering nice moments for the crowd is fantastic. What about your personal attempts in music? When and where was your first DJ gig, ever? Additionally, did you start with, Dj-ing or producing music? My first attempt was in the sport club where I used to play soccer (Juvencia) as a kid. The parents organized a party in order to collect money and invest them in a sport travel for the guys. That was my first presentation ever and since then, I started Dj-ing and 4, 5 years later I also started with the production. Who was your favorite DJ back then and who is your current? Has your perception and taste for music changed over the years? My favorite DJ was Paul Oakenfold, but later I discovered Hernan Cattaneo and now I can say that he is my favorite artist. When you grow up in the scene your perception changes, especially if you are involved in the industry. But I always try to respect my roots and to keep my perception of music and scene closer to what I love. What’s your own favorite party at which you played so far? My favorite party so far was in Club Panama and it is because I played beside my friends and idols like Hernan Cattaneo, Nick Warren, Eelke Kleijn, Graziano Raffa. Well in Argentina you always have funny situations because the crowd is fantastic, and they are always very enthusiastic in making new things. One very funny situation I especially love is when some friends of mine brought a big picture of my top five artists to Bahrein, and while I was playing I looked up and I saw them holding the picture in the middle of the dance floor. I play with Pioneer CDJ2000 Nexus and Mixer, Pioneer DJM800/900 because it makes me have more fun and I also feel super comfortable. How does the whole producing process start for you? Do you go into the studio with a specific idea in mind or you just go with the flow? I prefer to always start my projects and to go with the flow so that, the creative selection of the sound could flow with the ideas I have. That is the best way to make something fresh because sometimes you wake up with a decision to make something new and nothing happens. Mariano Mellino, what equipment do you use when producing music? Do you rely only on software or you also use hardware in your productions? I use a mix of both. When I was living in Berlin, I bought some new stuff like Roland TR8 / Juno DI / Roland Gaia and Maschine, but I also use a very good VST from MOOG, U-he, Korg, Novation and many more. Last year you did an EP for Hernan Cattaneo’s SUDBEAT called Mockenbrucke. How long did it take you to make these tracks and find a label for them? I started to prepare the Mockenbrucke EP in Berlin and I finished it in Buenos Aires. All in all, it took 7 months until it was finished and when I showed it to Sudbeat they loved it and asked me to release. If you could describe yourself and your DJ sets with one song, which song would that be? Hard question, but I will choose “Luke Chable & Danny Bonnici – Ride”. What is the BEST mix or compilation of all times for you? Furthermore, which musicians/DJs inspire you? Hernan Cattaneo – Renaissance – The Master Series Vol13. Hernan has always been my inspiration since my beginning until now, Guy Mantzur, Guy Gerber, Danny Howells … but I also like discovering new artists. At the moment David August is doing something different and I really love it. A few weeks ago I played in Crobar with James Zabiela and it was fantastic! He told me some beautiful words about my work, but the most important thing is that he shared a bit of his experience with me and I will never forget that. What would be your advice to the new and aspiring producers? Any production tips or favourite techniques that you would like to share? I think the best tip for the new producers is that they have to be open to learn every day, and learning from the big producers I think is the best tip. Regarding techniques of production, I prefer to work more on the groove and the rhythmic stuff because if you make a nice groove you can never be boring to the crowd. I must confess I was working very hard and I will do the same for my next international tour. For the next year I hope my future releases will make a very good impression and finally, that my career will continue to grow, while I do what I love. 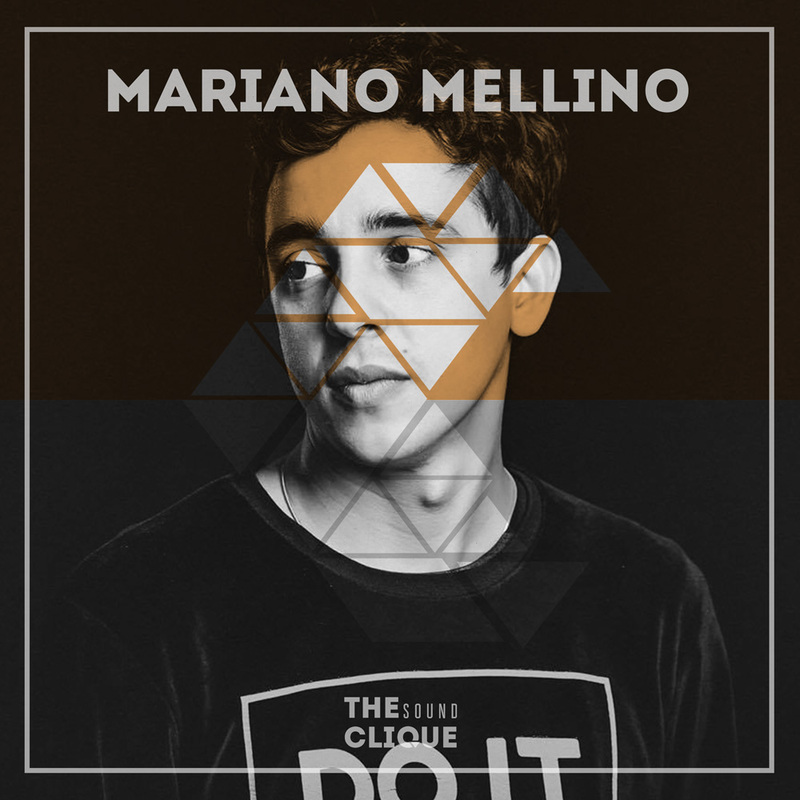 Connect with Mariano Mellino on Facebook and SoundCloud.